A sidebar is exactly what it sounds like. It is simply a shorter piece or text that accompanies a longer article in a publication such as a magazine or newspaper, often graphically separate but related to the main idea. A sidebar always appears on the side of an article, hence the name. Whether a sidebar appears on the right side, left side or both sides of a piece is of no consequence. A sidebar can be anywhere from a few sentences to a whole other page, and may either complement or contrast the article it accompanies. While originally the purview of print media only, today, the sidebar appears in online articles as well, though not as often. First and foremost, freelance writers need to know that the sidebar complements or (more importantly) supplements (and adds value to) the article it accompanies. A sidebar can either be a necessity in order for an article to be complete, or it may simply be a function of extra space that needs to be filled. This does not mean that a sidebar is "just filler." Whatever information is in a sidebar must be informational and provide the reader with additional information. Sidebars are also used to provide graphic relief to the eye. What that means is that they may be used to break up long boxes of text that become burdensome for the reader and prevent an even flow of reading. 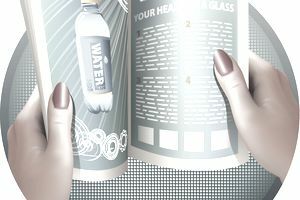 They may also be used to catch the eye of the reader as they flip through the printed piece or view it online. An editor may request sidebars to accompany your assignment, but it's also a good idea to suggest some possibilities when you pitch a story. This shows that you've thought through your idea to the end and you've considered all the angles and needs of the reader. It's not uncommon for a writer to be asked to write a sidebar to accompany another writer's article. This should not be perceived as an insult or poor reflection on your ability as a writer. It's often because the assignment in question is an especially important piece that carries a great deal of weight on the particular topic. It may also be because you have an expertise in the information that needs to go into the sidebar, or you have a contrasting opinion to share. If you're asked to write a sidebar and are unsure exactly what to write about, consider a sidebar that covers a dissenting opinion, offers resources for further information, a true life (applicable) story, or an expert's viewpoint. Whatever you choose, your sidebar should be relatable to the main body of work, and will often number between 100 and 400 words. Freelance writers may want to brainstorm potential sidebars asking questions like "What is another, additional perspective?" or "What am I leaving out that a person might want to know?" Don't be stymied if your editor tells you to write a "boxout" or even a "call out box." These are two alternate names for sidebars in addition to the more common alternative sidebar name, the "filler."